Our last post discussed pre-finished and unfinished hardwood flooring, the differences involved, and a few of the available hardwood finishes. This post expands on that, explaining hardwood types and what is involved in installing unfinished and pre-finished offerings. Learning about these variations can go a long way toward helping homeowners decide which products are right for them. Unfinished hardwood — raw, unstained wood installed, stained, and finished on site. This allows homeowners to custom-stain wood to fit their preferences or stain trims to match but involves a longer installation process that tends to require a higher budget. Pre-finished hardwood — factory-finished wood that is then transported to homes for installation. It requires less time to install because processes like sanding and staining are already completed. Trims cannot be stained to match, and the pre-stained products are often costlier to purchase. Solid wood — flooring created from one solid piece of wood. It can be sanded or refinished several times in its lifespan and ranges from ¾” to 5/16” in thickness. Engineered wood — wood flooring comprised of multiple wood or composite veneers, made from the same or different species. Grains run in different directions, and some planks can be sanded or refinished to achieve different coloring. 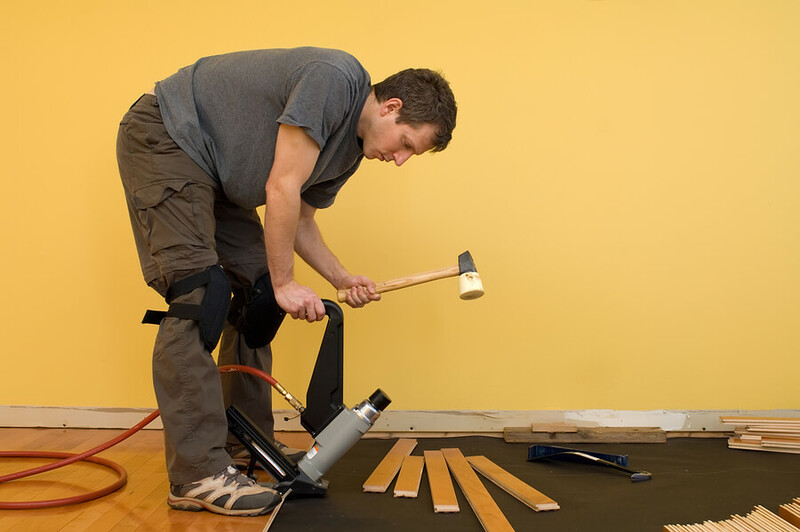 Consult a flooring expert to decide which options are best for your hardwood flooring project. Other hardwood varieties include beech, birch, Brazilian cherry, cherry, cork, cypress, Douglas fir, hickory pecan, Iroko, jarrah, mahogany, mesquite, pine, purple heart, spotted gum, and teak. 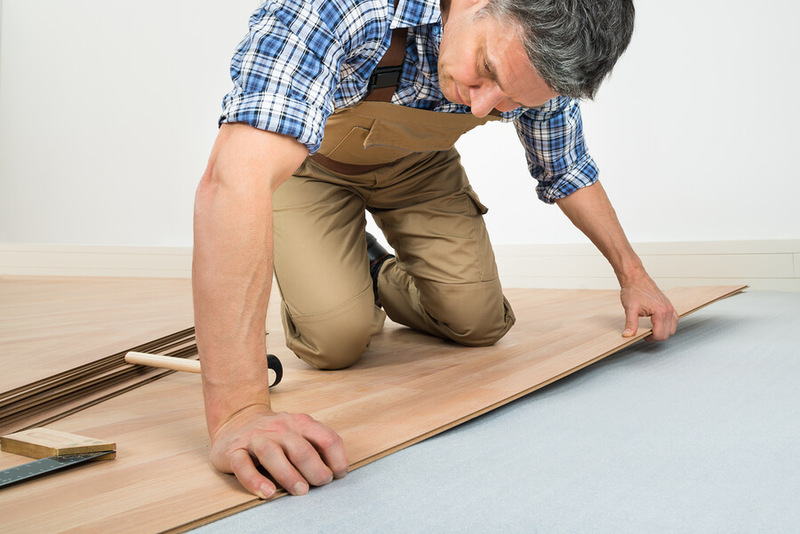 When it comes to installing these floors, there are a few differences. Pre-finished hardwoods are sanded and finished in a factory, meaning they come to the site ready to cut and install in a homeowner’s room of choice. A layer or two of varnish is applied once they’re installed, but the overall process is cleaner, faster, and more cost-effective than for unfinished varieties. Unfinished flooring, by comparison, needs to be nailed to a plywood subfloor, sanded down, stained, and then finished in varying numbers of coats. 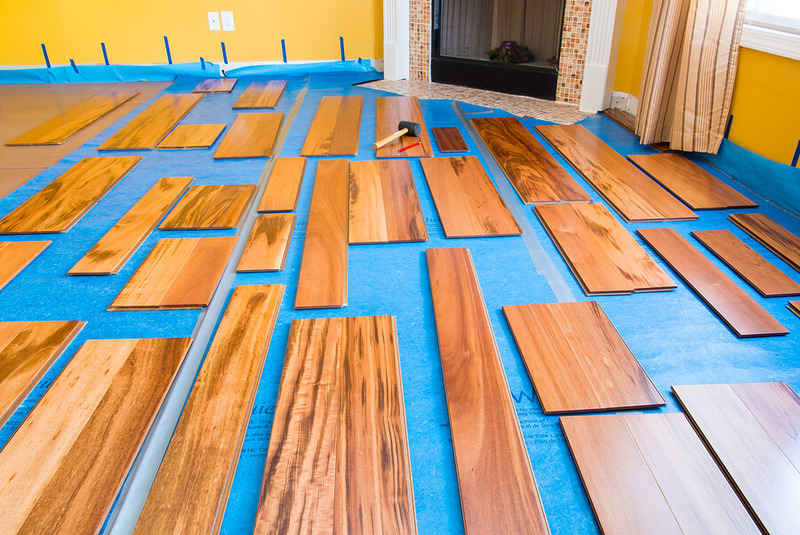 The process is much longer, involving drying time between each of the stain and varnish layers, but the result is much more customized to homeowners’ preferences. Deciding which version is right for your home is a personal choice, one you can discuss with a flooring expert to ensure you make the proper decision for your project. When you have questions about unfinished and pre-finished hardwood flooring options, call your local flooring expert. Professionals have years of experience in the field, and they’ll be able to walk through your needs and provide advice to help you make the right home flooring decision. Solid Hardwood Flooring or Engineered Hardwood Flooring: Which One is Better?